NV Nylon Wheels are the budget range of white nylon wheels. NY Nylon Wheels are the best selling white nylon wheels, with five sizes to choose from all without bearings, makes these plain nylon wheels a popular choice. NYB Nylon Wheels are by far becoming the most popular nylon wheel, as we offer five sizes, all with bearings and a choice of hub bore sizes. 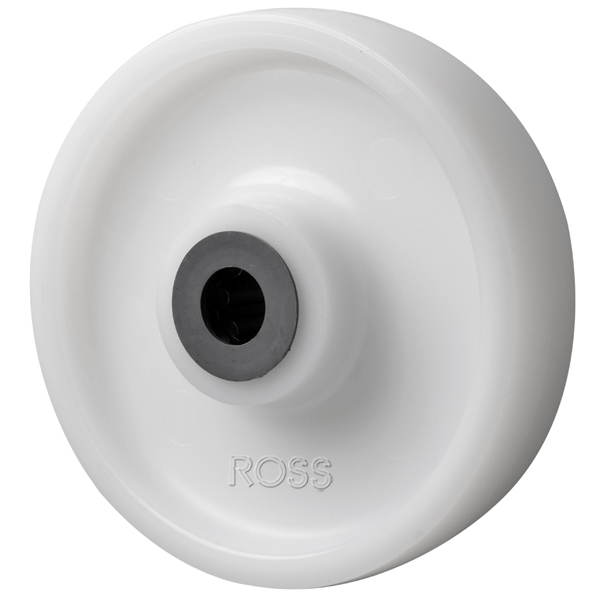 This flexible range of nylon wheels are ideal for a variety of applications. For more information please click the product code. HNYB Heavy Duty Nylon Wheels are the strongest out of the nylon wheel range. With three sizes and load capacities of up to 800kg each, these heavyweight nylon wheels will give you the strength and durability you are looking for. Nylon Wheels are the most durable, and hardwearing wheels for a multitude of applications. If you are not sure which wheel to choose, then you can be sure a Nylon Wheel will do the job! We stock the widest range of nylon wheels on the market from 50mm diameter up to 200mm diameter wheels, and all the sizes in-between.